BMW M850i in SA as of the launch earlier this week. Launched, the all-new BMW M850i in SA as of earlier this week. We drove the new model at its national ride and drive event in the Western Cape. 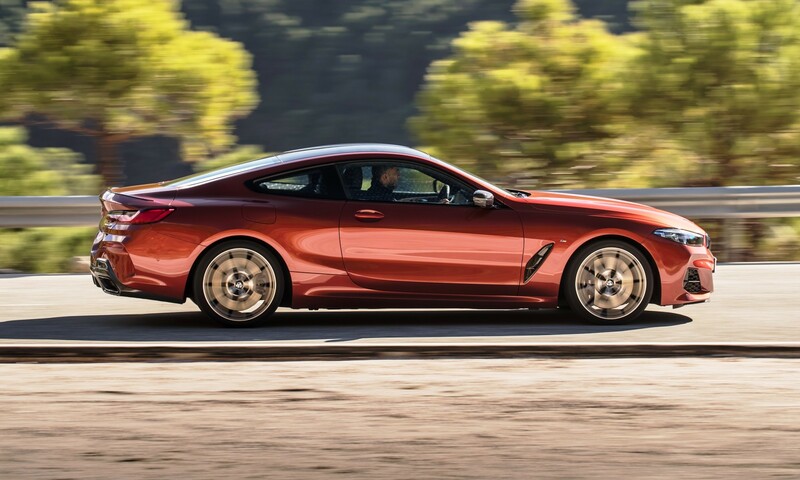 Click here to read about the latest addition to the BMW Coupe family. 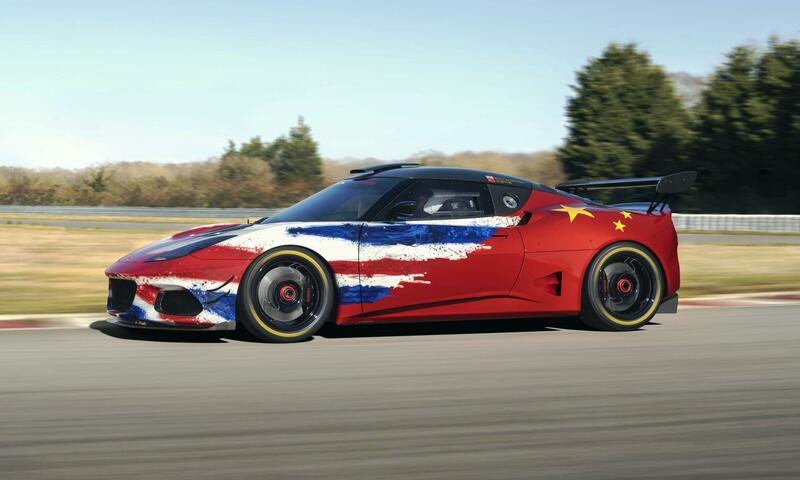 Three hundred and ninety kilowatts, seven hundred and fifty newton metres of torque and zero to one hundred km/h in just three point seven seconds… Were it not for the images accompanying this story, you’d probably guess that I was referring to a pukka sportscar. In many ways I am, though what you are looking at is essentially a grand tourer. Say hello to the BMW M850i xDrive. The all-new 8 Series is the latest model to wear such a high number, the last car to do so went out of production over 20 years ago. BMW reserves this lofty digit for range-leading cars, and this is precisely what the new model is, the apex of the BMW family. Purely from an aesthetic point of view, the M850i is already a winner. 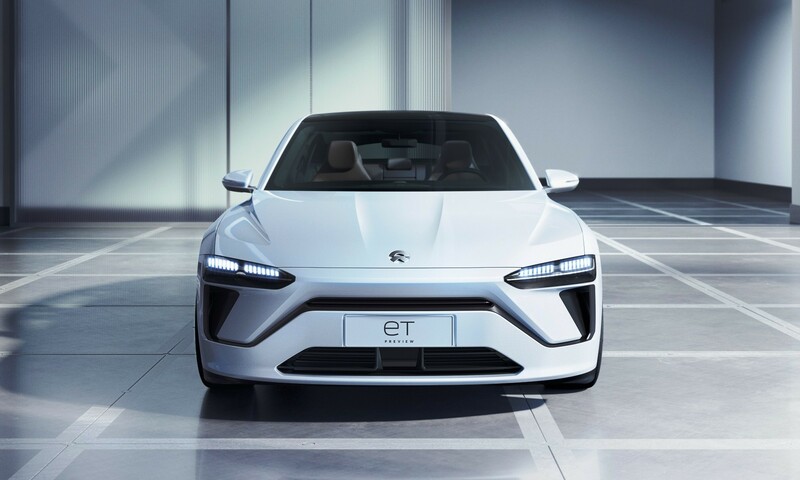 It has large, flat kidney grilles up front (seemingly a signature of new sporting models), a long bonnet in true GT-car fashion, a narrow glasshouse with steeply raked rear screen and a pert rear end with dramatic taillamps. At nearly five metres long and two metres wide the new 8 is no shrinking violet. Massive alloys add to its demeanour. 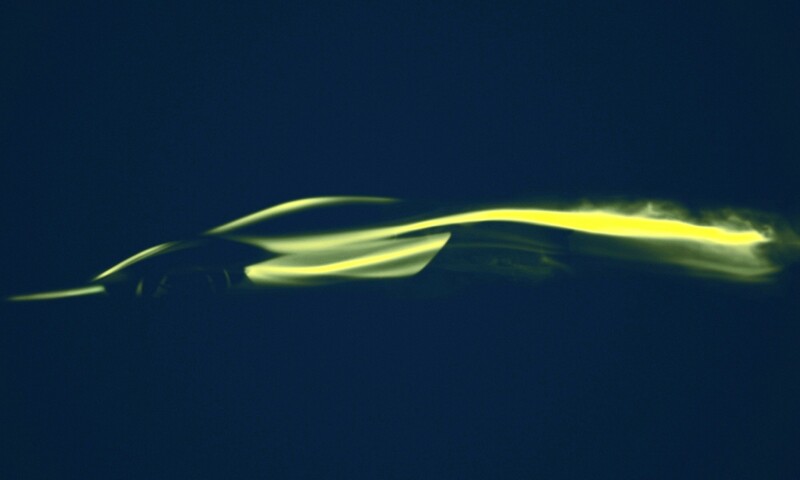 Judging by the responses we received on the launch event, its appearance is arresting. 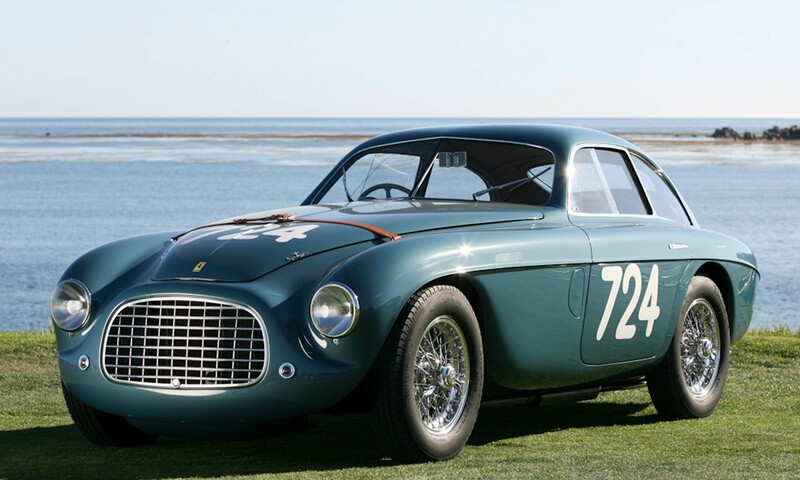 This is more than just a looker, though. Under that shaped skin lies a plethora of high-tech systems and hardware to make it more dynamically capable as well as more user-friendly and cosseting to its occupants. 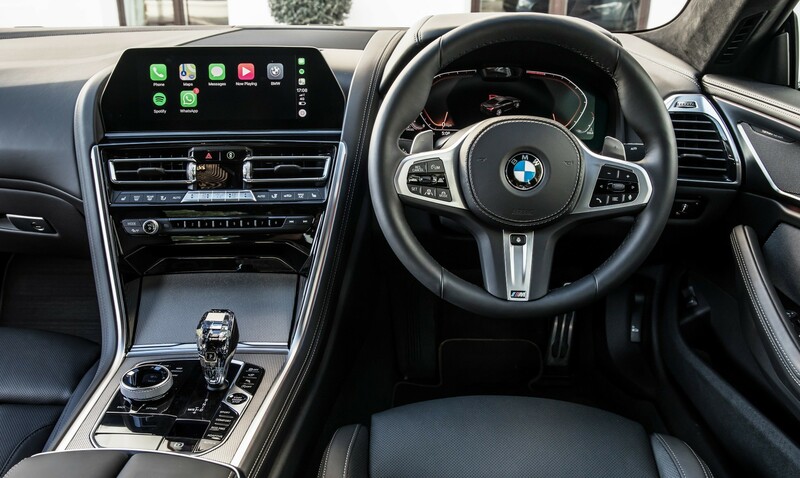 Inside the cabin the 8 Series is extremely luxurious, soft hides adorn most surfaces and gloss black plastics are used for areas surrounding the infotainment screen and gear-lever. The soft feel of the leather is offset by high-tech systems found within cabin. A traditional instrument cluster has been replaced by a digital display. BMW’s latest infotainment interface is found centre-stage. It boasts touchscreen functionality as well as a rotary controller between the front seats. 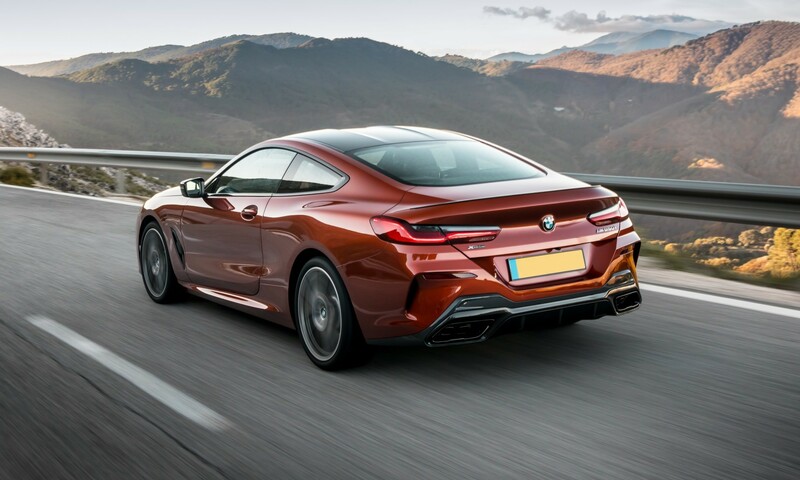 Anything that moves is electrically controlled and, as befitting a range-topper, the 8 Series is fitted with just about every conceivable extra one could hope for, barring a sunroof. Thanks to a distinctive ‘double bubble’ design element on the hard top this model cannot be fitted with a sliding roof section. Incidentally, the roof panel on all SA-bound 8 Series models is carbon-fibre. BMW plans to launch more 8 Series derivatives to bolster the line-up. 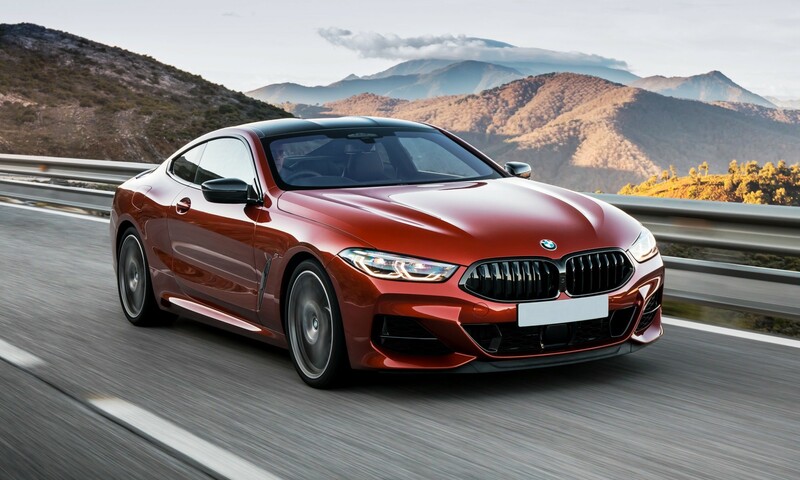 Sunseekers will be happy to learn that an M850i Convertible version is on its way later this year, which will later be joined by a Gran Coupe and the eventual high-performance M8 derivatives in various guises. BMW South Africa is offering just one version of the 8 Series locally: the M850i xDrive. There are other powertrains available abroad, including a diesel derivative, but we won’t be seeing those any time soon. 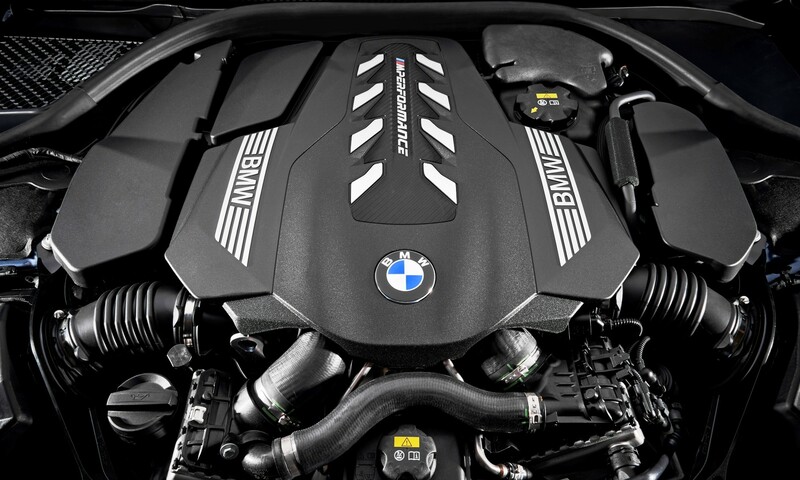 Under the bonnet of the M850i lies a twin-turbocharged 4,4-litre V8 that sends its power to the ground through all four wheels via an eight-speed automatic transmission. 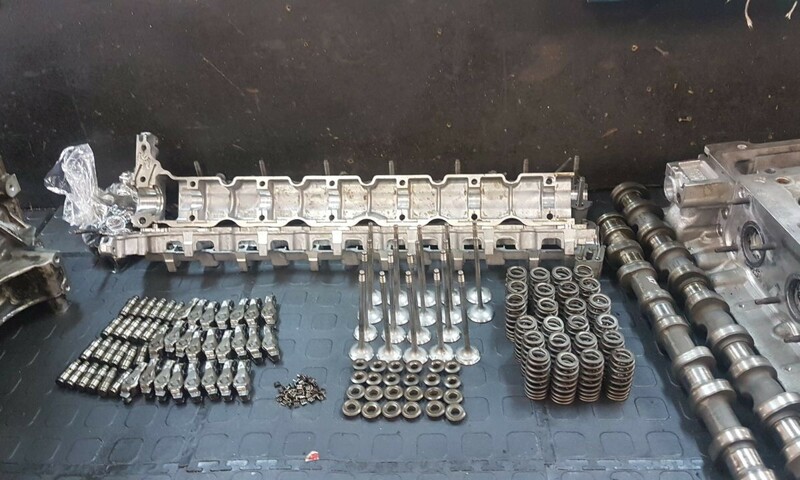 As mentioned it produces 390 kW along with 750 N.m.
To help reduce dreaded turbo lag and improve throttle response the pair of twin-scroll turbochargers are mounted within the “V” of the bent eight. The engine breathes through a set of tail pipes that features active flaps. The note produced is bassy and burbly at low engine speeds, like a proper sportscar. BMW spokespersons on the event promise us that all the sound is natural, ie none of it is piped through the speakers. On the local ride and drive event, we traversed some of the Cape’s most scenic and curvy roads. On the famous Clarence Drive, the M850i wafted along serenely as we followed photo-snapping tourists in slow-moving rental cars. When the chance arose, we mashed the throttle and unleashed all the horses. 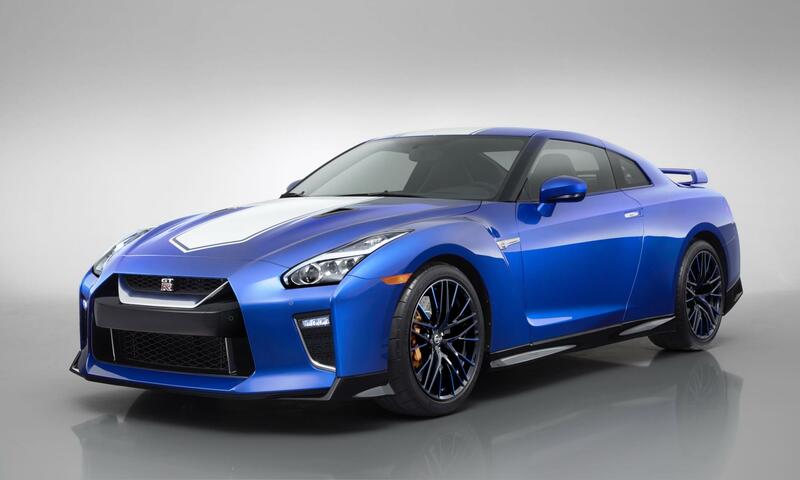 The M850i then changed in nature from a mild-mannered cruiser to full on sportscar. The rate off acceleration is pin-you-in-the-seat quick. Even though the power and torque curves mean you don’t have to rev it out, the V8 does seem to enjoy visiting 6 500 r/min. BMW’s xDrive all-wheel-drive system varies torque distribution between front and rear axles, which means there is no unnecessary interference from the traction control as a surfeit of power is directed to the road without any loss of grip under hard acceleration. Of course, it’s pretty easy to go fast in a straight line but can it corner? Any fears we had that the M850i is a one-trick pony were allayed on the beautiful Franschhoek Pass. On the extremely tight, twisty and tricky mountain road the large Beemer really impressed. On the tighter corners of the pass we could really feel the rear-biased power delivery and electronically controlled rear differential lock working in unison to make the car change direction with alertness belying its size. The M850i can really be hustled along at a serious pace. BMW set out to create a sportscar with the 8, and I will happily admit that they have succeeded. With its sporting bent, the M850i seems to occupy a little niche all of its own. It’s not quite as hard-edged as a Porsche 911, but it is certainly more sporty and engaging than a Mercedes-Benz S-Class Coupe. In fact, I’d go as far as to say that its natural rivals are more likely to be the Bentley Continental GT and Aston Martin DB11, though the BMW costs a fraction of the price of those rivals. Kudos BMW.